Dubai, UAE, 19 September 2018: Huawei, a leading global provider of information and communications technology (ICT) infrastructure and smart devices, has become one of the first technology firms to register with one hundred percent ownership in Qatar. In order to support its increased activities in the country, the company has also opened a new office in West Bay, Doha. Huawei's position as one of the first fully-owned technology companies operating in Qatar follows a May 2018 announcement that the country would open to one hundred percent foreign ownership. The move is intended to accelerate the development in all economic and commercial activities, attract foreign capital inflow, and achieve economic diversification in accordance with the Qatar National Vision 2030. In line with the aim of driving the development of the ICT industry in Qatar, Huawei's new office will expand and enhance the company's activities in sectors with a key role to play in achieving the country's developments goals. 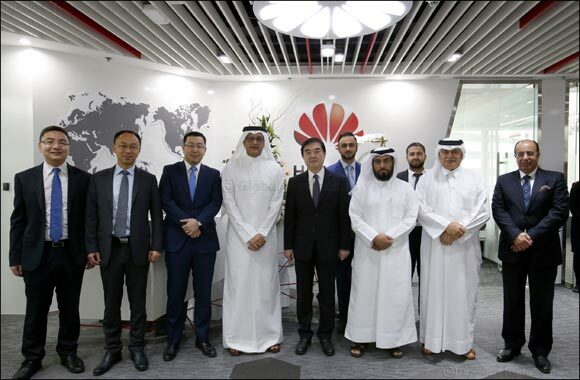 The opening of this third office will help Huawei better to serve Qatar's national ICT and telecommunication needs and reinforces the company's long-term commitment to the country.